International sustainability expert, Dr. Martin A. Blake, has chosen Singapore as the preferred location in Asia to set up his global strategy consultancy, Blake Advisory Pte Ltd.
Dr. Blake, who brings with him 30 years of related industry experience as well as a track record of designing and deploying award-winning sustainability and CSR programmes, is also at the helm of nine green consultancies in Australia, Europe, Canada and USA. He set up Blake Advisory in Singapore to offer long-term and economically-viable organisational solutions to key business leaders and decision makers around the world. “It serves as a beacon of best practices for the rest of the world. Malaysia, Indonesia and China, in particular, all look to Singapore to provide high-level strategic leadership. Increasingly, regions like Eastern Europe are also now following Asia’s lead. In addition, the safe and stable banking and corporate laws make Singapore a good place for companies to place themselves,” added Dr. Blake. To this end and following the recommendation of the Q Bytes Wealth Report, Dr. Blake consulted Singapore Company Registration specialists Rikvin for assistance in setting up Blake Advisory. 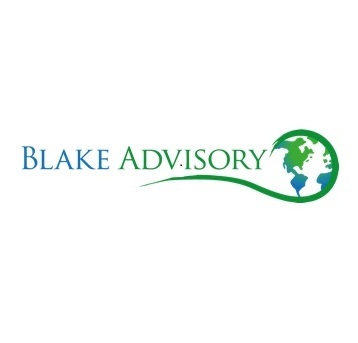 Blake Advisory is committed to delivering leadership and global expertise to developing markets around the world. Moving forward, the advisory agency will continue to work with clients globally to create alternative futures that are sustainable for the long haul through the design and delivery of world-class sustainability programmes. Blake Advisory is owned and operated by Dr. Martin A. Blake, Top 100 Global Sustainability Leader and award-winning energy conservation strategist. Based in Singapore, Blake Advisory is the legal entity through which Martin provides international board level advice and leadership in sustainability and financial intermediary services to the clean-tech industry.